Yeah, I know. The title of this blog post is phrased in a rather weird way. I mean, who doesn’t know how to be a tourist? By just visiting another place or country, you already qualify as one right? So technically, there really isn’t much to learn. Or so you think. Being a tourist in name may be easy but it’s quite different from being a tourist at heart. Today, I’m going to give you tips on how you can fully embrace the experience of being in North East India. This post will teach you how you can make the most out of your transient title of tourist. But before we get into that, let me just create the right mood for our new travellers. If you’re active on social media – Facebook, Twitter, Instagram, and all that – you should know that travelling is everyone’s dream. Although at times, they take it too far (like in this case). Still, it would be no exaggeration to say that it’s something people of all ages and races would like to do for a good part of their lives. I’m definitely part of that crowd. Travelling is a really beautiful experience. As they say, it’s the only thing you can buy with money that will make you richer. Getting to meet new faces, welcoming days in different places, and chasing after varying sunsets are definitely things that belong on everyone’s bucket list. One observation I have, however, is that people look at travelling a little differently these days. They think of travelling as an excuse to fill-up their social media accounts with Insta-worthy pictures (check this out). They use it as a way to tell the world how luxurious and extravagant their life is. They’d travel to Paris, Tokyo, London, Venice, Hawaii, and every other popular tourist spot just to spend even more time showing off on their mobiles. Is that what we call travelling now? Is that what it means to be a tourist of today? If the answer is yes to both of these questions, then count me out. This is not the kind of travel my soul craves for. The best things in life are not those caught by the camera. If you’re truly taken aback by an experience, you won’t have time to snap a picture of it. You’d be too busy creating a memory of it. The kind of travelling I need, the kind of experience I crave for, is so real and mesmerising that I (sometimes!) do not have the time for pics. If this is the kind of travel you are yearning for as well, then you’d probably appreciate these simple yet proven tips. Don’t worry; I’m going to make this short so you can get to plan your North East India tours with Kipepeo or something. Ok. I know that you want to dress to impress. After all, how can you just let the world miss out on your 6-inch Jimmy Choos? Or, how can you not let them know you have this gorgeous Prada suitcase right? I don’t think anyone will even notice. The only people you’ll be attracting are the bad ones like thieves and robbers. Instead of torturing yourself trying to bring all these unnecessary things with you, pack light. If you’re a bit of a hoarder, make a checklist of all the things that you definitely need for the journey – a few spare clothes, underwear, a small first aid kit, and important documents. Other than these, you don’t really need much else. Should you find yourself in need of shampoo, you can buy some at local convenience stores. Should you need extra batteries, you can shop at a local electronics shop. Don’t bring your whole house with you. It’ll only limit what you can do. 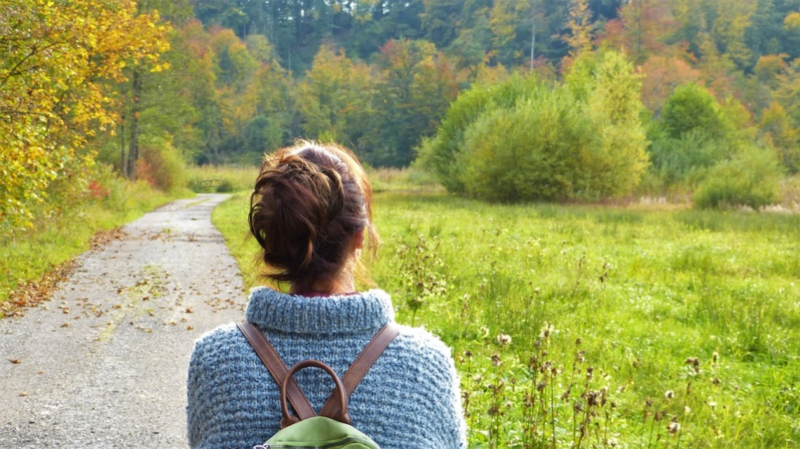 Why not try backpacking? I’ve said it before and I’ll say it again: social media can wait. Although people on Instagram love to see a pretty picture, it’s way better to experience the moment for yourself, rather than behind your phone or camera. Wait until you get back, or a quiet moment to upload your pics – I often spend some time on Instagram in the morning before my boyf wakes up! So put down that camera and live in the moment. The documentation can wait. I know that you would like to see what your favourite blogger did when she visited North East India but you don’t need to follow her itinerary to the letter. Quit the itineraries. If you do follow one, you probably wouldn’t be able to call the entire experience yours. It’s a copy of someone else’s experience and that would defeat the purpose of your travels. Experience the world yourself. Go to places you’re curious about. Taste whatever cuisine piques your interest. Stay at hotels you personally think might be great. Do whatever your heart wants. Good or bad, it’s yours to experience and it’ll belong to you alone. That makes it meaningful. Try not to use your phone too much while travelling. Live the experience; connect with people around you. The place you’ve travelled to is a home to friends you haven’t met yet. Communicate with the locals you’ll learn plenty of things about them and have some very well-informed guides for your travels. They can show you the places that the locals frequent which are unlikely to be found in any guidebook.